Land Rover is set to end the production of its iconic Defender model, which has been serving farmers and safari guides amongst others for decades. The last vehicles to roll off the production line will do so in just over two years’ time, in December 2015. A true off-roader, the Defender has evolved from the original Land Rover Series which was first produced way back in 1948. Over two million models have been purchased since this time. Even her majesty the Queen has been pictured behind the wheel of a Defender! However, all new versions of the rugged Land Rover emit more than 260g/km of CO2, which means they fall under the highest road tax band, M.
Emissions laws have become much stricter in recent years, so any successor would have to be significantly more environmentally friendly. 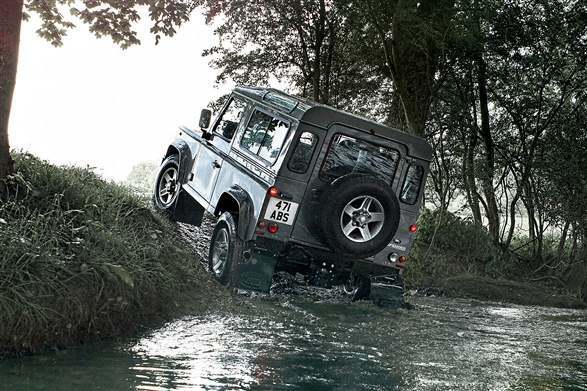 As new, the Defender costs between £24,260 and £33,000. Because of its strong performance and reliability however, it is a very popular model on the used market. Well-conditioned vehicles can be picked up for under £10,000 – you can search listings at either CarVillage.co.uk or UsedCarsNearMe.co.uk.